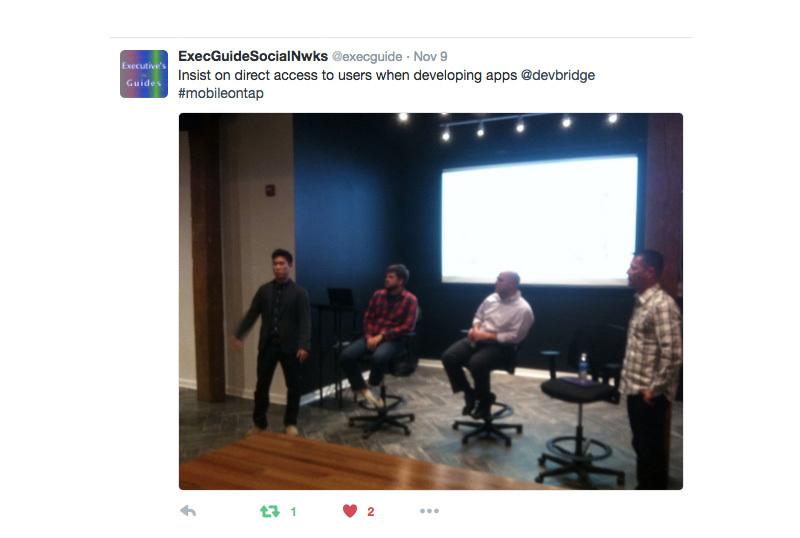 On November 9, Devbridge hosted local Chicago Meetup Mobile on Tap for a lively discussion around building great apps people love. 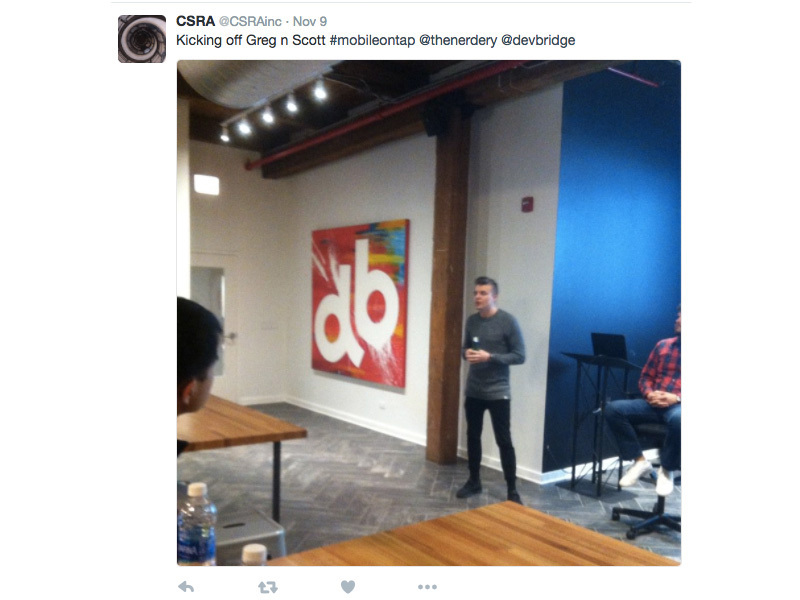 Bill Cronin, Director of PMO and Eric Strubinger, Senior Designer from Devbridge took more than 20 business and design professionals on a process-centric, Agile-driven, technology-focused journey. The event was so well-received that we rounded up the best of the Twitter stream from this month's event.